Our previous features on wedding invitation styles and stationary have already addressed the many options available in those categories. Now, this latest feature brings you a selection of formats and layouts for your wedding invitations - and hopefully one step closer to ordering the ones you want! In the past, most wedding invitations were folded in half to form a card. 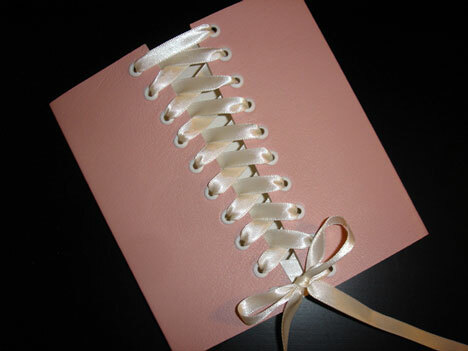 Although this format isn't as popular as it once was, you can still find folded invitations - and with a modern twist, such as this "corset" design which opens like an armoire. 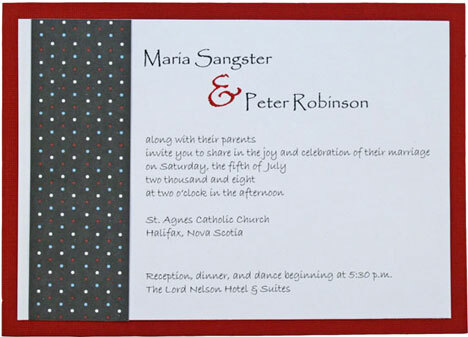 Many invitations come in layers of different papers and materials, such as this design which features textured floral paper as the second layer and vellum as the top layer. 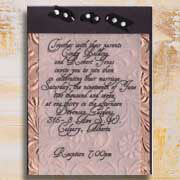 Flat panel invitations are typically 5" X 7" and printed on sturdy cardstock. Flat panel is also a popular format for thank you cards and insert notes. 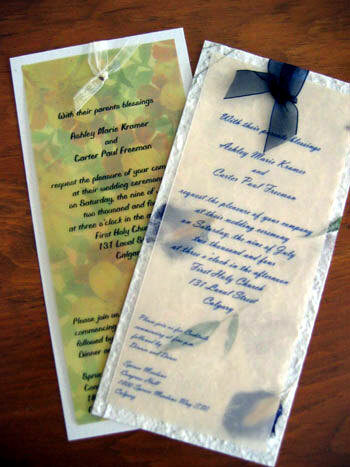 Basically a longer version of the flat panel, tea-length invitations are usually 4" X 9 ¼". Pocket folder invitations are a great way to package all of the items your guests will need, such as RSVP cards and maps, which are tucked into the folder. Like the pocket folder, booklet invitations package all of the directions and details your guests will need to plan for your wedding. 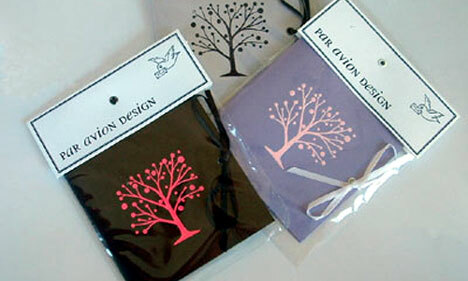 Ribbon or rafia binding also adds a decorative touch. Wedding Invitation Styles: The "Budgetist"